You do a lot of damage to your teeth when you have bruxism. This is the process of grinding or clenching your teeth, sometimes both. When you put that much pressure on your teeth, it can cause them a lot of harm. Sometimes your teeth will crack, while other times your teeth will wear down. Both of these accumulate over time. If you do not get your bruxism treated, these effects will cause irreversible damage to your teeth. It may not seem like it matters if you clench or grind your teeth, but it really does. Your teeth are incredibly strong, but they can only put up with so much abuse. The more you grind your teeth, the more you wear off the enamel on the chewing surfaces of your teeth. The more you clench them, the more likely you are to put stress fractures into the enamel of your teeth. Each time you do either of these, you cause a small bit of damage. After a bunch of small bits of damage, the results are a lot of damage. This could result in you having increased tooth sensitivity, gum disease, loose teeth, or even teeth that fell out. 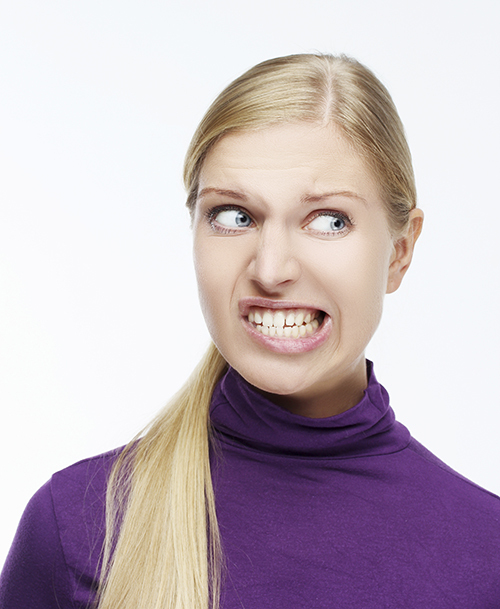 There are things that can be done to help when you suffer from bruxism. Many people suffer from it and do not even know they have it. We see that on a regular basis. Come in and let us examine your mouth. We can look at the condition of your teeth, and let you know if you have symptoms of bruxism. If you do, we will discuss what treatment options you have. Usually, you will need nothing more than a mouth guard to help protect your teeth. It is a simple fix, and takes very little time to get ready for you. Call us today!